Former White House Chief Strategist Steve Bannon campaigned for Moore in Alabama on Monday and said that a vote for Moore is a vote for the economic nationalist agenda that got Trump elected. Trump campaigned for Strange last Friday in the Yellowhammer State, but many voters who attended the rally indicated that though they still support Trump, they will vote for Moore, who has led in every poll leading up to tonight’s runoff. Trump, who never admits making a mistake, openly told the crowd that he may have done so by going against his grassroots supporters and endorsing and campaigning for Strange on behalf of Senate Majority Leader Mitch McConnell (R-KY) and all of the establishment-aligned groups that have shown nothing but utter disdain for grassroots conservatives and working-class Trump voters. Polls close at 7 p.m. CT. Stay tuned to Breitbart News for live updates throughout the evening. All times eastern. Trump has deleted his three final pro-Strange tweets, including the one where he falsely claimed Strange had gained support because of him. Advice from Jared: 1) Fire Comey. Dems will love it! 2) Hire @Scaramucci to set up a professional operation. … You want to wait for #3? Trump this morning: "Luther Strange has been shooting up in the AL polls since my endorsement. Finish the job- vote today for 'Big Luther.'" 10:17: Has Jared ever given Trump good advice? 10:12: Moore says God can bring us back. He talks about his love for the Constitution. 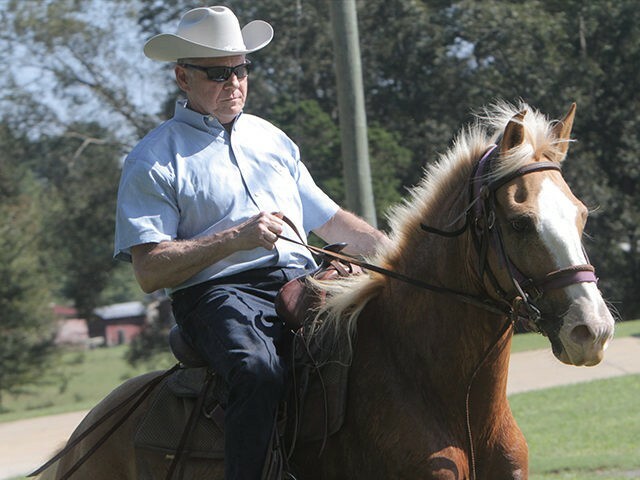 10:08: Moore thanks Almighty God. He says he has never prayed to win this campaign. He has only prayed that God’s will be done. Moore says he has spoken to Senators Paul, Lee, and Cruz. He says don’t let anyone in the press think that he does not support Trump because Trump supported Strange. Moore on Trump agenda "I will be supportive, as long as it's Constitutional"
10:05: Bannon says Moore’s win shows economic nationalists do not need to raise millions from “fat cats” on Wall Street and Silicon Valley. He says Alabama answered today that the people–not money–is sovereign in Alabama. Congratulations Judge Moore and thank you Alabama! 9:48: Strange now making his concession speech, says this is not the result he wanted and has congratulated Judge Moore. Strange says his team left everything out on the field/court and is proud of the campaign he ran … and there are a lot of political winds blowing right now. He says he won’t lose any sleep. Gets golf claps from audience. Strange thanks his Senate office staff, many of whom are present at the event. Establishment just flushed $30 million down the drain. Congrats! Projection: Roy Moore (R) defeats Sen. Luther Strange (R) in #ALSEN GOP runoff. EARLY RESULTS: Several counties absentees in. Moore up 58-42. Led 37-35 in these counties in primary. Very bad for Luther. 8:30 PM: Very few votes in. More leads with 58% of the vote, but there are fewer than 2,000 votes in so far. Former Alabama Crimson Tide running back Siran Stacy is speaking at Roy Moore's party in Montgomery: "He's a good God! He's a loving God!" 8:00 PM: Polls have closed in Alabama, and exit polling looks good for Moore. 7:20 PM: Bannon expected at Moore’s watch party. 7:15 PM: Bannon told Hannity that there needs to be a “real review” of how Trump got such bad information about this race if Moore wins the race. Chief of Staff John Kelly and his team of bureaucrats have reportedly worked overtime to control the information flow in the White House. Translation: They are preventing Trump from reading articles from right-of-center publications and isolating him from his base that has stood by him when his gatekeepers were running for the hills. 7:00 PM ET: Polls close in less than an hour.